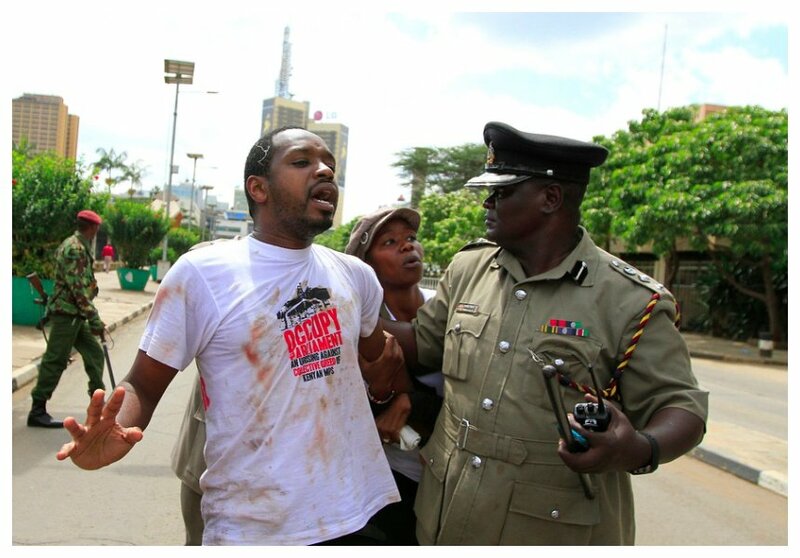 Defiance is the word that best describes Boniface Mwangi. The fierce rights activist has turned 35 today July 10th but he is not celebrating because he had to be in court. Boniface stated on Monday July 9th that he will gladly celebrate his birthday in court because he is on the the right side of history. He was arrested and charged with cruelty to animals over the famous 2013 pig protest. 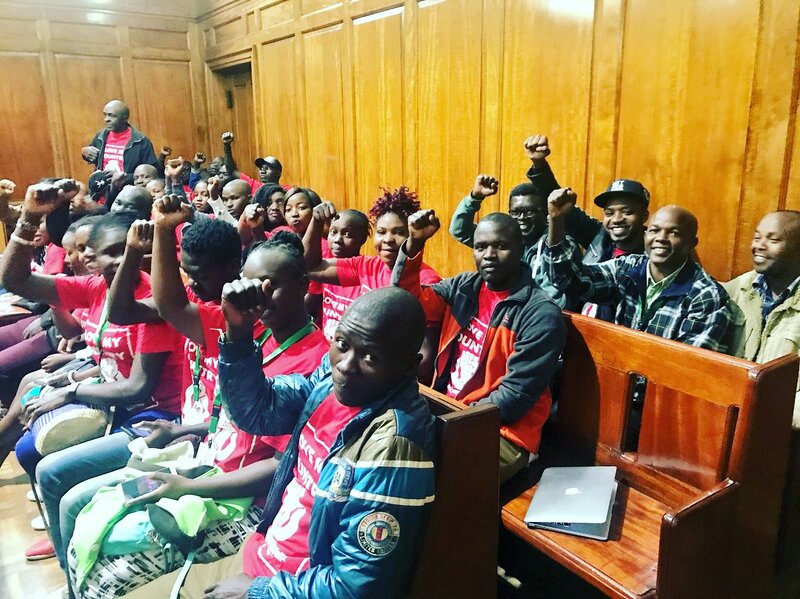 Boniface together with other activists staged the ‘Occupy Parliament’ demonstration using 31 live pigs to protest greed among MPs for demanding a pay hike just a few months after being elected to office. “Tomorrow I turn 35, instead of celebrations, l shall be in court for being on the right side of history. Our (Kenya’s) hope for a renewed leadership quickly disappeared after the 2013 election. Two months after new Members of Parliament were sworn in, their first action was to award themselves a hefty pay rise, making them some of the highest paid in the world. We decided to paint pigs with the names of the greedy legislators who were leading the push for higher pay. The message for the day was greedy Mpigs occupy the bloody Parliament. 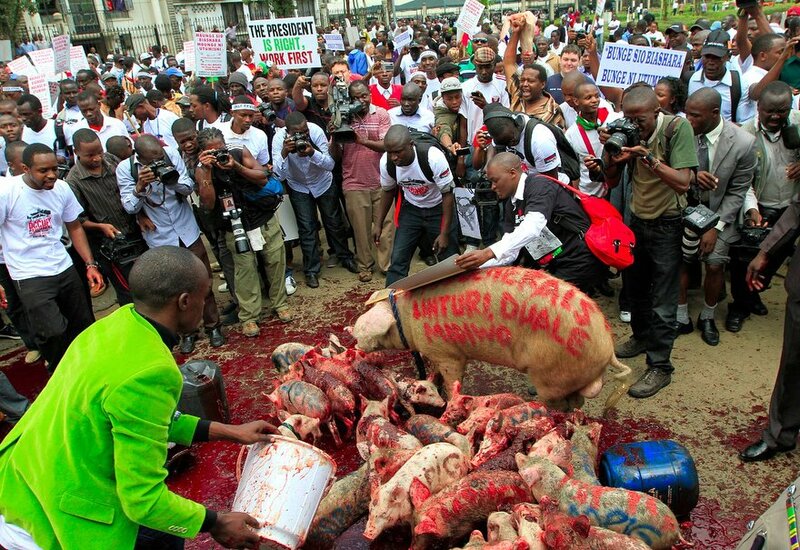 On May 14, 2013 we delivered the pigs to parliament,” wrote Boniface Mwangi on Monday. Boniface says police have been violating Kenyans’ right for a peaceful protest. The activist claims the ruling on his case will determine how police treat peaceful demonstrations.